Are you still bothered by the current incarnation of Windows? You may not have to wait much longer for the next upgrade – Microsoft announced the pricing tiers for the upcoming Windows 8.1 on Tuesday far ahead of its expected October 18th release. Windows 8.1 will be a free update for users who already have Windows 8, but individuals upgrading to Windows 8.1 from an earlier version must pay the given rates. US-based customers can purchase Windows 8.1 for $119.99 and Windows 8.1 Pro for $199.99. An upgrade to Windows 8.1 Pro from a device pre-installed with Windows 8.1 will be $99.99. Windows 8.1 will be a must-have update for [Windows 8] devices – bringing new features and improvements such as greater personalization, Bing Smart Search, and more than 20 new and improved Microsoft apps and services, was written on the Windows blog. We are excited to be delivering such an important update to customers in just one month and nearly a year after launching Windows 8. The operating system will be offered as an upgrade, full-version software, and Windows 8.1 Enterprise RTM (for volume licensing purposes). The installation will also be available as both a digital download and in physical DVD form in most retail stores. The official download will roll out starting at 12:00am on October 18th in New Zealand. Will you upgrade to Windows 8.1 immediately? Do you foresee any potential problems with the new 8.1? 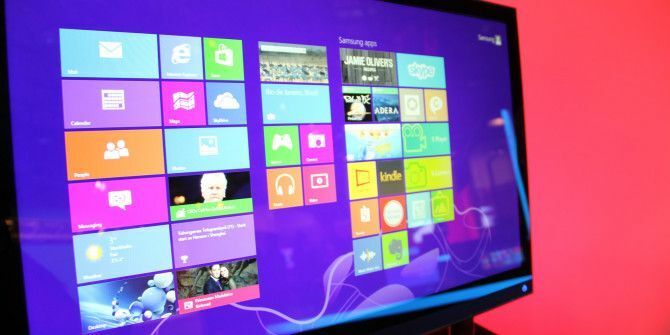 What do you like or not like about Windows 8? @Aaron @Michael Atkins. I'm not an Apple person, I'm an oldschool PC/Web 1.0 person, but I do understand and appreciate what Apple, Google and Web 2.0 have done. They've simplified, solidified and standardized(i.e., similiar or the same user experience from one machine to the next) an inherently complex, convoluted, unstable and easily breakable product. Most people (such as your grandparents, parents, friends, family, kids, etc) simply lack the time, desire and cognitive ability to use computers the way the PC platform was invisioned and evolved through the 80's and 90's - as more of an open standards, do-it-yourself, infinitely customizable and compatible, techie/power-user platform - which was its greatest strength but also its greatest weakness. The jump from Windows XP to Snow Leopard was far easier than my attempt to move from Windows 7 to 8. The windows 8 machine has its own special place on the shelf next to my old Vista machine. That is where it will probably stay. Hope Windows 9 is better. I think the Microsoft employees finally smoked too much dope creating the Windows 8 OS; I cant imagine making such simple tasks as printing an envelope or transferring files from your useable OS more impossible. It used to be so easy; everything was right in front of you and you put away files like putting them in a drawer. Now you need a special education and several years experience to use what used to be obvious. Unfortunately this nightmare came with a new computer I had to purchase since my Windows XP Pro computer was on it's last leg. I'm just about ready to throw it out and buy a MAC; if not my next computer will definitely be a MAC. Windows 7 is excellent - probably the finest OS made. Windows 8 is brutal; an order of magnitude worse than the much-maligned Windows Vista. Microsoft is killing the PC market. Why are we having to pay for Windows 8 fixes? This release should be free to windows 8 people. From the article... "Windows 8.1 will be a free update for users who already have Windows 8"
I installed win 8 to check it out. User interface aside (I think that's just something to get used to) at first glance it runs quite well. I'm still running a modded, custom win xp but I may just upgrade to win 8. I will not be upgrading to windows 8. I find the operating system cumbersome and it is a mission to find your way around it. There is nothing wrong with windows 7 in my opinion and I will stick with it as long as I can. Windows 8 is obviously more for touch screen and thus should have been utilized as such, keeping the Windows 7 style for desktop and normal laptops being released. Ease of use and providing what most people want in today's computer world is hopefully what MS has provided. The ability to easily turn features on & off, personalization, and minimal processes running for speed's sake are hopefully in this upgrade. 8.0 is tolerable at best and you learn to put with/ignore the features you don't like. If 8.1 results in me saying 'Damn!' less often I'll be happier! Updates can wait till they are proven stable and significant. Windows 8 is anachronistic. MS doesn't understand its not the 80's and 90's anymore when computers were mostly a product purchased/built by hobbyists, techies and businesses - a do-it-yourself climate where software, hardware and os releases were important to such consumers. The computing climate if very different now, driven more by web 2.0 and the cloud than by desktop computing. The type of consumer now is non-techie and doesn't care what an operating system is, and simply wants a computer to be affordable, stable, compatible and user friendly - which pc's/windows are not. If MS understood this and went in that direction, they could reimagine the PC, but MS unfortunately is still living in the 90's. That comment actually sort of pisses me off, I will tell you strait off that i am not a fan boy of Microsoft because I have used apple products and I use Linux quite a lot. You basically said everyone is stupid that doesn't use an apple product. I really enjoy working on my computer and customizing it however I want to; I want to say that you sir need to get your head out of the clouds. The reality is on what you said, is what apple's vision is and not the focus of the rest of the real world. PC's are cheaper more affordable to the "consumer" as you put it, I can buy a PC equivalent to any mac product for half the cost. What people like you need to realize is that with their closed hardware, Apple is the one who is "stuck" because they want people use and only use their product's, you can't customize anything on those computer's as compared to a PC where you can do what ever you want. Oh and just so you know the one and only reason apple charges so little on their OS is because they make the difference in cost when people buy their way over priced computers. In my opinion it's the people that know nothing about OSes or computers that use Apples. They cater to people that want something fast that they don't need to know a whole lot about, this is the epitome of stupid, spending 3x as much for something that is "low risk" is a bonehead move. Not knowing anything about computers and having the audacity of using one is a bonehead move. People with too much money to spend on Apple devices need to read up and practice with windows or Linux, stop enabling Apple to charge astronomical prices for hardware that anyone could throw together and make work for a fraction of the cost, and having the experience to deal with any problem that may arise with another type of OS will make you happier, less poor, and less reliant on the company that sold you your hardware. Down with Apple. No one really does care. It has a Start button but no Start Menu. Still underwhelming. All my computers are Windows 8 and I really don't care for them. My Nexus does most of what I need. I have and do use Win 8 on all my PC's & tablets and after the initial steep learning curve is over its great. Once again its not the computer but the way you use it that determines your outcomes. Multiple outcomes to suit most users are available if you apply yourself. These days almost no-one cares about upgrading an OS, unless its iOS or a major Android release; especially considering these high prices. Must people will purchase the latest flavor or Windows indirectly, when they need to buy a new PC and they can´t opt for a different OS. I don't think anyone cares, to be honest. Yes, that's everything that's wrong with Windows 8 right there. Totally nailed it dude.